As North America’s busiest single terminal container facility, the Garden City Terminal operates 24/7 and covers over 1,200 acres. 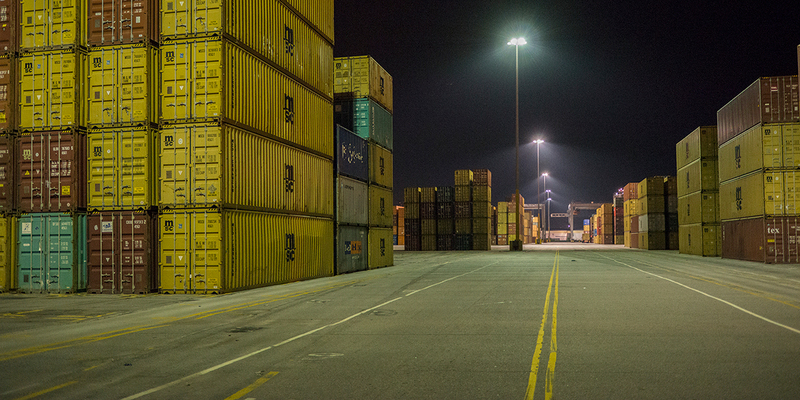 The Georgia Ports Authority needed an energy efficient lighting solution designed to meet the challenges of its operations and high hours of usage. The existing lighting system presented many challenges for the Georgia Ports Authority —high-energy consumption, constant maintenance issues, and the system produced large amounts of spill and glare for the surrounding areas. Musco’s Green Generation Lighting® was the cost effective, environmentally responsible lighting solution for the Garden City Terminal. Energy consumption was reduced by 65%, annual CO2 emissions were reduced by 3,569 metric tons, and maintenance costs were eliminated for 10 years. This lighting solution also comes with Musco’s Control-Link® Controls and Monitoring system, which allows for system performance monitoring and flexible management of the facility with Control-Link’s scheduling capabilities using web-based software and a 24/7 call center. Over the next decade, the Georgia Ports Authority will save $6,366,000 in operating costs.